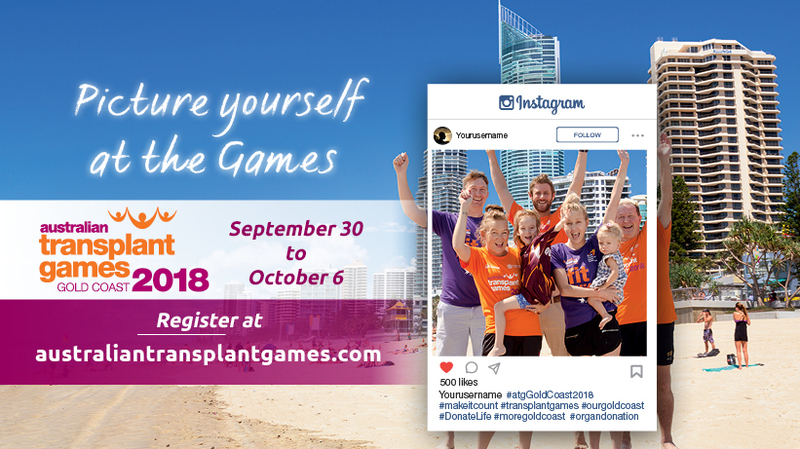 We are pleased to announce the opening of the registration for this year’s Australia Transplant Games on the Gold Coast! We have been able to reduce the registration fees for recipients by 33% and provide Donor Families and Living Donors with Complementary registrations, while keeping the supporter fees around the same and still providing free registrations for kids. As you may be aware, we have been going through an extensive review of the staging of the Australian Transplant Games to ensure we continue to grow the games and improve the experience for members. The first step was engage a company called MLS to deliver a new games and registration system. MLS is a events management company that has been responsible for the British Transplant Games for the past 10 years. They have developed a stand-alone registration and results system specifically for transplant games, which will give everyone confidence that recording keeping and events will be better managed. You can register from now until the 4th August without making any payments, and will have the ability to save and make changes to your registration as needed. On the 4th August we will notify you to make a final update of your preferences and payment options. We will continue to use the user-pay system for the sports and events. Here is some information before you begin your registration. Visit australiantransplantgames.com to register now.